January and February are exciting months within the Chinese community as this is when Spring is ushered in and the Lunar New Year is celebrated. Steeped in culture and religion, this vibrant festival is celebrated in China and wherever there’s a sizeable Chinese population including Malaysia, Singapore, Indonesia and Australia. It’s interesting to note that this celebration is the cause of the largest annual mass human migration where over 700 million people in China return to their hometowns over a period of a month. In Chinese astrology, the year 2018 is the year of the Earth Dog. 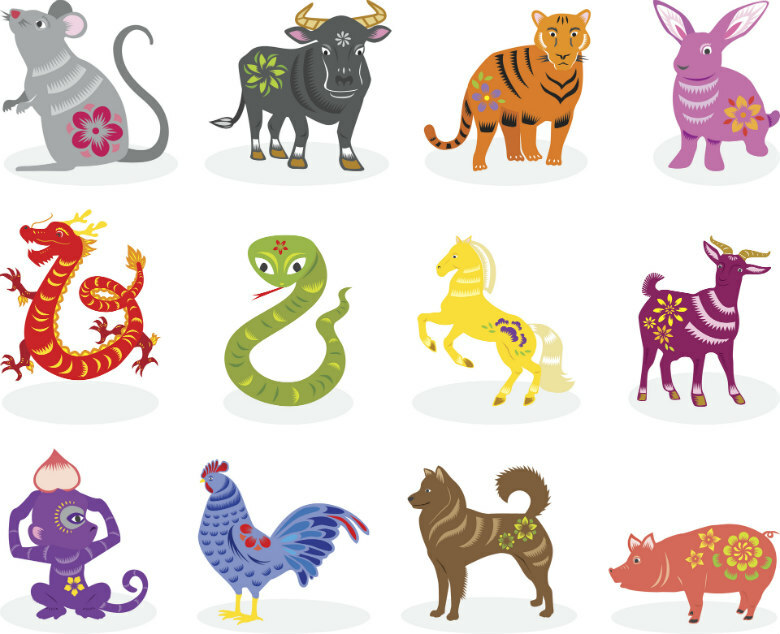 The Chinese zodiac is divided into 12 parts with each year being represented by an animal – rat, ox, tiger, rabbit, dragon, snake, horse, ram, monkey, rooster, dog and pig. It is believed that people take on the attributes of the animal whose year they are born in, and the way their life turns out and their luck for the year also depends on these animals. The Great Race: why these animals? The Jade Emperor, Ruler of the Heavens, called for a race across a river with heavy currents. The prize was to have the years of the calendar named for each animal in the order that they arrived. At the beginning of the race, the cat began its journey with the rat. Being poor swimmers but intelligent creatures, they decided to hitch a ride on the ox’s back. The rat accidentally pushed the cat into the river, which is why cats hate the water and rats! Upon reaching the shore, the rat leapt off the ox and crossed the finish line first, followed by the ox. The tiger then emerged from the river, panting because of the strong currents and the water that weighed it down. The rabbit was unknowingly helped across the river on a floating log blown to shore by the dragon, who could have been first had it not helped those in need. The snake spooked the horse by appearing behind its legs; and the ram, monkey and rooster arrived after working together to cross the river on a raft. The dog arrived 11th despite being a strong swimmer as it got distracted and had a little frolic in the water. Last came the pig, who although capable of speed when needed, decided to satisfy its hunger and had a nap first. Each animal sign is divided into elements – metal, wood, fire, water, earth – and is dependent on the year you are born. Dogs are known to be faithful, friendly, loyal, clever and have a strong sense of responsibility; individuals born in the year of the Earth Dog are generally honest and straightforward. Chinese astrologers predict 2018 to be a year of groundedness and stability, a time to settle into things and see past ventures become fruitful rather than begin new initiatives. The humble and generous heart possessed by Dogs will also grant them success in areas such as real estate, agriculture and the environment. However, these predictions are given with a warning that Dogs may have a year of challenges because the success you wish for will not come without a price. It’s advisable for those born in the year of the Dog to stay away from conflict, and remain calm and collected. Some also say that those born under the signs of the Horse, Tiger and Ox may enjoy success in romance! Whereas Rat and Pig individuals are predicted to be rewarded materially this year. The year 2018 is the year to relax and enjoy life, much like how the Dog decided to frolic in the cooling river, hence eager Dragons, Rams and Roosters may need to slow down a little. Meanwhile, mischievous Snakes and Monkeys are expected to learn some meaningful lessons this year. Whether or not you believe in astrology, these are good reminders for how to conduct yourself and there will always be happy events to look forward to. Have a woof-erful year ahead!